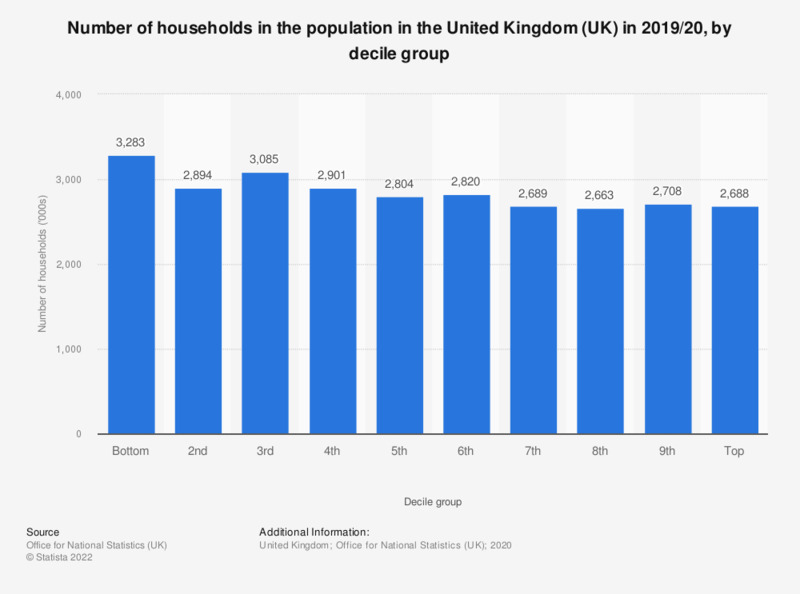 This statistic displays the number of households in the population in the United Kingdom (UK) in 2017/18, by decile. The decile groups with the largest number of households was the sixth decile, at 2.717 million households in the UK. The decile groups with the lowest number of households was the bottom one, at 2.706 million households.